Feeling demotivated to head to a crowded gym or workout the unpredictable weather? 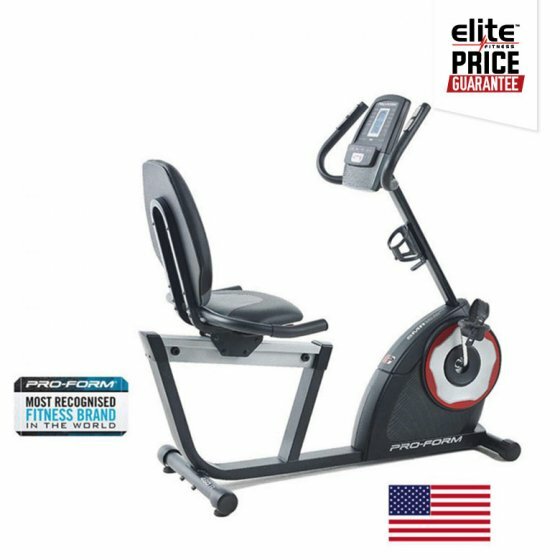 Hiring an exercycle from Elite Fitness provides a low impact cardio session from the comfort of your own home. Options include the USA designed ProForm 460R Recumbent Hire Exercycle or a similar alternative, which is available on a 1-month minimum contract at $20 per week. Customize the intensity of your training with 18 built-in workout programs and 18 digital resistance levels with low fuss so you can focus on feeling the burn. Apply to hire today and begin your fitness journey. For a professional advice, visit us at 11 stores nationwide, call 0800 243 834 or click on Apply to Hire to complete an application form online. Check out our Hire FAQ for more information. We offer month-to-month payment terms and a quick in-home delivery service. Easy!